It is said construction is Colorado’s fifth season. Manitou streets are undergoing a major facelift around the convention hall, which means parking is going to be a slight adventure. 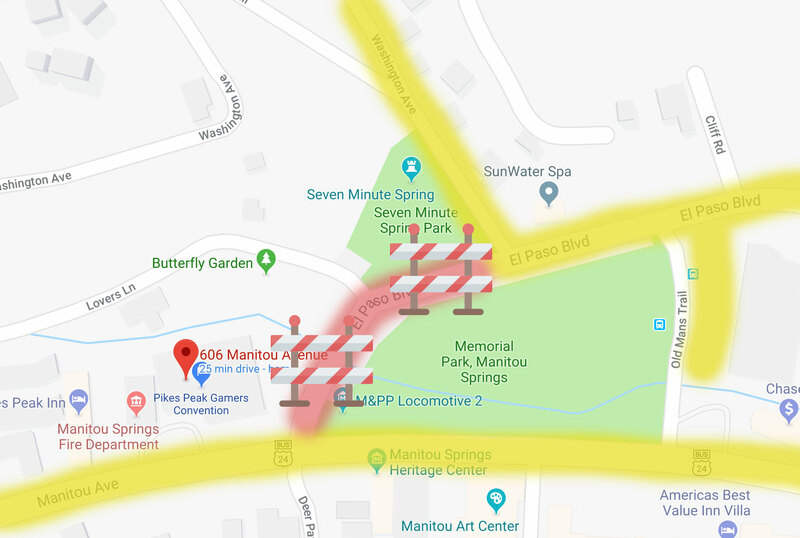 If you are unable to find parking adjacent to the hall, there are several parking lots and more street parking if you keep heading west on Manitou Ave.
Yellow Highlight – you may find free parking in these areas. Red Highlight – street closed due to construction.